Mapleton is among one of the most expensive communities in Utah. 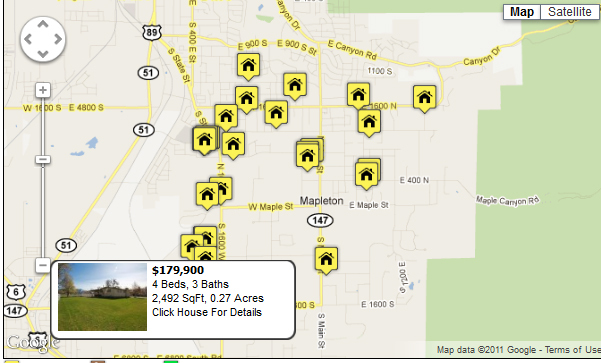 There are 77 different properties for sale in Mapleton, Utah. Most of these properties are residential, single family homes, but there are a few luxury condos or townhomes in Mapleton. Prices of Mapleton Real Estate have gone down over the last four years. Prices range from a low of $129,900 to $1,750,000. In 2013 houses that sold had a median sold price of $336,353. In the 3rd quarter of 2013 the average single family home that sold in Mapleton was $364,109. Condos and multi-unit buildings do not exist in Mapleton. However, you will find townhomes in Harvest Park Subdivision. Request a daily list of Mapleton Utah homes for sale: List of Mapleton Utah Homes for Sale. If you have questions about buying or selling a home in Mapleton Utah contact a group of Utah County Realtors. If you need help Selling a home in Mapleton Utah let Team Teasdale Realty give you a free comparative market analysis (CMA). Read Our Mapleton Utah Real Estate Website. There are new and old homes alike in Mapleton. Many of the major neighborhoods and developments have names like Harvest Park, Jackson Hollow, South Hollow, Wildflower Estates, Tad Weight Subdivision, Orchard Estate, Johnson Estates, Sweet Iron, Countryside Estates, Mapleton Highlands, Park Meadow, Triple Crown, Monta Vista, Maplewood and The Park. Mapleton has a very strict policy on prohibiting duplexes, four-plexes or multi-unit dwellings. However, in around 2005 they allowed a project to start called Harvest Park in Mapleton. It has a beautiful layout and is a planned development with townhomes, twin homes and homes. Everyone pays an HOA fee. They have been planning to install a pool in their clubhouse for about four years. The Principal Broker Paul Teasdale lives close to Harvest Park in Mapleton and is very familiar with this project and many of the neighbors in this neighborhood. Mapleton does allow accessory apartment in approved homes but they charge $5,500. It is definitely a buyers market in Mapleton. In the third quarter of 2012, 29 residential properties listed on the MLS were sold. The average MLS listing has been on the market for a hundred days. Home prices may drop a little more as there are many motivated sellers, short sales and bank foreclosures in Mapleton. The bottom is difficult to predict. Large real estate discounts can especially be found on the high end, land, and spec homes as many properties are entering default and are in danger of foreclosure and or short sale. The majority of Mapleton homes for sale are sold by Realtors and are listed on the Multiple Listing Service. Some of the best bank foreclosures are the HUD homes, Fannie Mae, Freddie Mac. Would you like to search bank foreclosures and short sales only in Mapleton? The links below provide lists of Mapleton Utah Short Sales and Mapleton Utah Bank Foreclosures. This site is an excellent resource for Mapleton Homes for Sale. 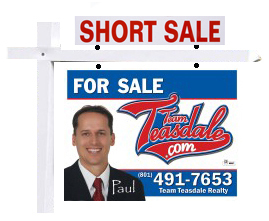 Are you looking for a Mapleton Utah Short Sale?